As I had mentioned in last week's What I Want Friday - Burlap! 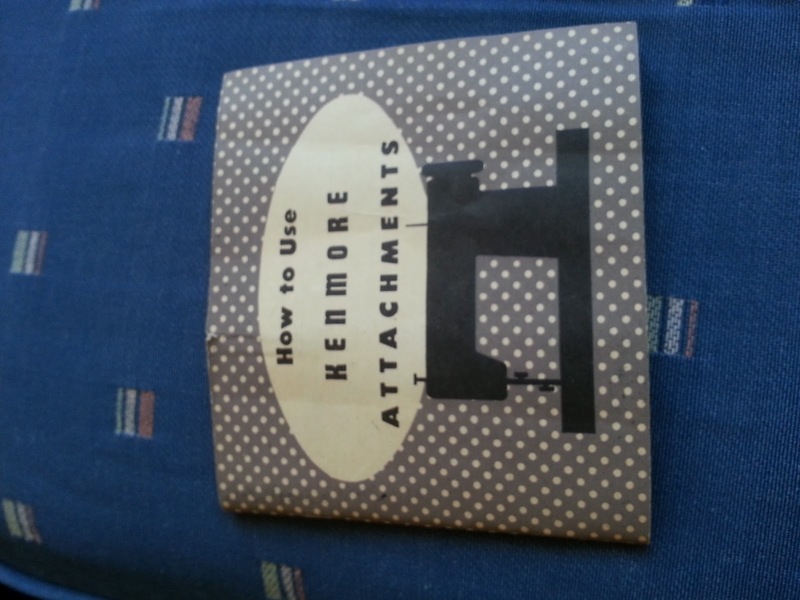 post, I am highly interested in learning to sew. There are a ton of DIY projects that I want to start, but because I can't sew, these projects have to sit on the back-burner for a little while so that I can learn to master this craft. The back-burner is no good. Can't stand the back-burner. It's time to get moving. 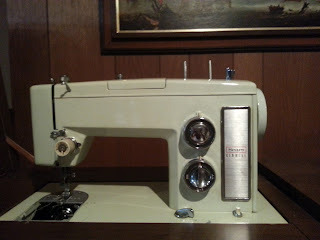 On a recent visit to my mom's new house, we investigated the vintage sewing machine left by the previous owner in her basement. This thing is awesome! A Sears Kenmore; it sits in its own convertible desk with convenient storage drawers filled to the brim with all of the necessary attachments and accessories one might need. Not that I know what any of them are for, but mom said it is all good stuff. The foot pedal is so cool! Now that mom and I had something to work with, it was on to the research portion of the project. We found the model number on the machine and after searching relentlessly online, we were able to determine that the model was manufactured most likely in the late 1970's. Why find out the year? Well, mainly because we're curious, and also because in the event the sewing machine needs repair or replacement parts down the road, we'll be equipped with the right information. 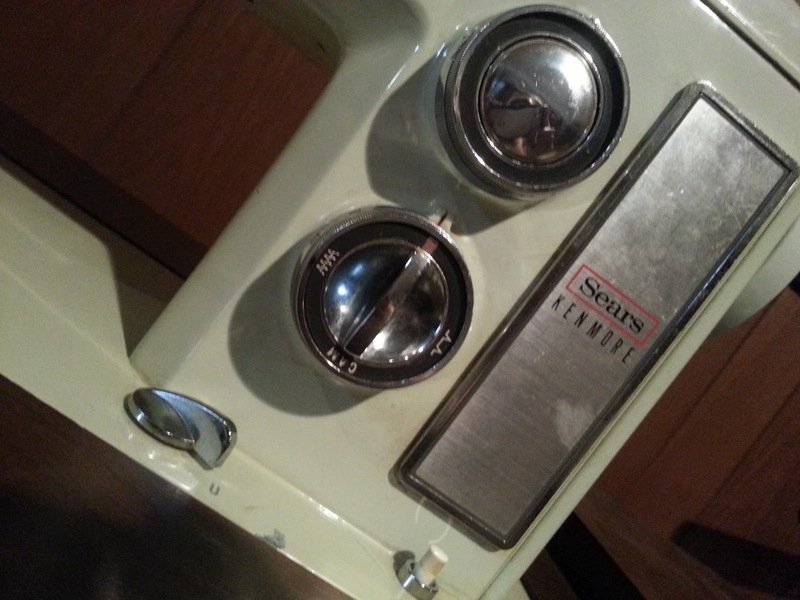 For more information on vintage Sears Kenmore part numbers, head over to this site. Super informative and very helpful. Further research proved that many of the replacement parts are also available on Ebay. Good to know! There is so much more to learn on my Road to Sew and you can bet your bottom dollar I'll be sharing my experiences with all of you here on Happy Now. In the meantime, what are your experiences with sewing? To all you seasoned pro's, How did you learn? 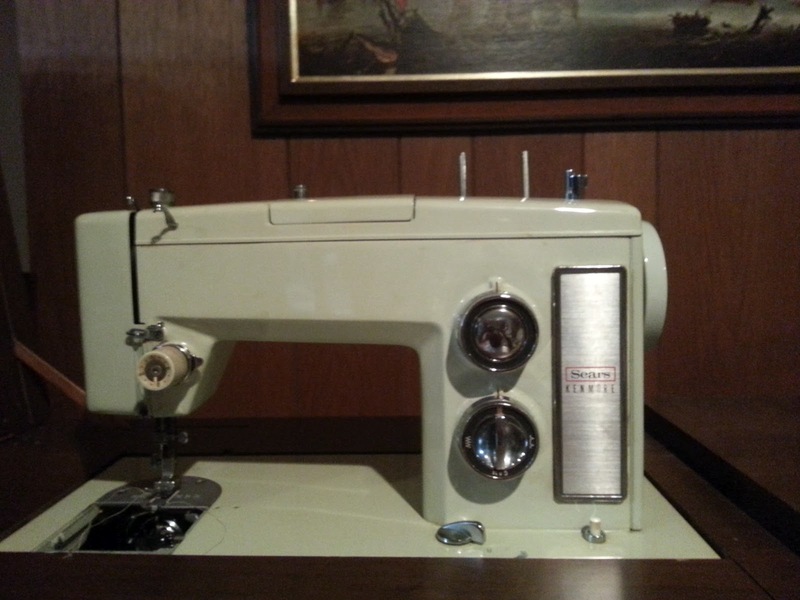 Did you learn using a new machine or your grandma's model? What's your favorite project? I am thinking I want my first project to be a pillow. I read a ton of blogs with DIY Pillow projects and nearly all of them involve sewing. And considering that most designer throw pillows retail for around $35-$65, being able to quickly sew my own pillow, using my own fabric, and for a fraction of the cost, well, that makes me very Happy. And after that, who knows? Burlap chair covers? Shabby (and chic!) slipcover for the couch? New lamp shade? The possibilities, as I always like to say, are endless. Happy Now Wants to Help with Your Next Project! Over at Happy Now, we are hard at work on some great new projects to share with you! In the meantime, please let me know what YOU the reader, would like to see more of on here! What are your DIY inspirations? What new craft are you wanting to try but just haven't had the time yet? Is there a certain type of product you want to try? And what is your passion?! 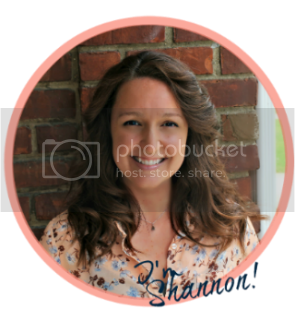 Tell me what you want to see and I will try my darndest to make it happen! 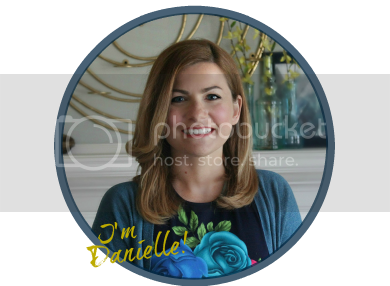 As a working mama, I know it's tough to get around to those tantalizing "how-to's" and "do-it-yourself" projects, so let ME help you figure it out! If you have a project that you want Happy Now to try for you, let us know! And if we can, we'd like to feature the project, HERE on our blog! That's right, your next DIY will be hand-crafted here at Happy Now and featured on the blog! Step-by-steps, and photos too! Contact Happy Now if you would be interested in having something re-furbished, re-painted, re-used into that one-of-a-kind treasure! Happy Crafting. Happy Life. Happy Now! This week's tip comes straight from one woman in my world who knows how to make a fabulous DIY-inspired home: My Mama! Having recently purchased a lovely new house in a lovely little neighborhood my mom has been hard at work settling into the space and decorating it to her liking. Ever the frugal shopper and always on the lookout for unique and eclectic pieces, she has snagged some amazing finds anywhere from local garage sales, and most recently, through Craigslist. Her obsession right now is corner cabinets. See examples below. Used furniture is a fantastic way to furnish your home at a fraction of the cost of retail. Finding the perfect piece may take some time, but once you see it, you will know. And once you have it, all you that's left to do is clean, protect and decide where the new piece will fit into your current space. Depending on the condition of the piece, I recommend a quick wipe down using a soft cloth and a very small amount of warm water. If the piece is particularly grimy, you can also try mineral spirits which will help with wax build up, stains and scuff marks. More on mineral spirits here. Once the item is cleaned to your standards, Mom recommends her secret weapon for furniture restoration: Old English. This stuff is amazing. Any imperfections, nicks, scratches, you name it, are no match for Old English. Mom uses Old English Scratch Cover in both Light and Dark (depending on the wood) and every time, the end result is a beautiful finish, restoring the dull surface to gleam and shine. It is also a great way to protect the surface and make it last for years to come. Learn more about using Old English on your furniture by heading to the Furniture Care section of their website. After cleaning and protecting the item, its now time to fit it into your surroundings. Used furniture offers a diverse look to decor; especially if you tend to move away from a "matchy-matchy" vibe. And don't be afraid to mix it up. Use an antique dresser in your dining room for napkins and extra silver ware. 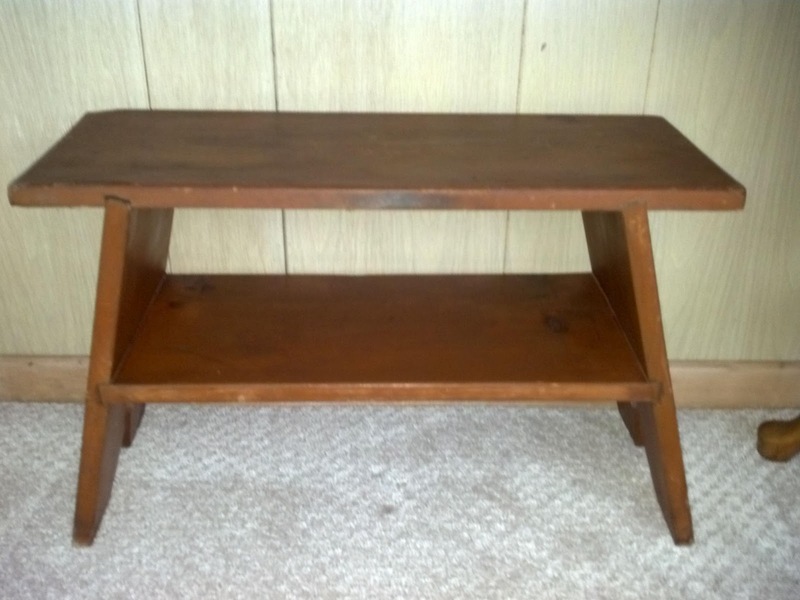 A one-of-a-kind end table can hold the TV in your bedroom. An antique, display cabinet can hold towels and toiletries in your bathroom. The possibilities are endless. Finding the perfect arrangement of furniture and decor in your home does not have to be a stressful, big money event. Most sellers are willing to negotiate and the point here is to kindly and respectfully approach the bartering process. It never hurts to ask. Take your time, find what you like, and with a little love and elbow grease, your surroundings can become a very Happy space. 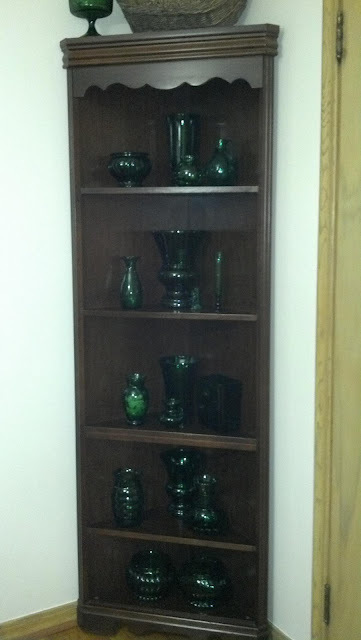 A corner cabinet my mom purchased from Craigslist holds her collection of antique, green glass. 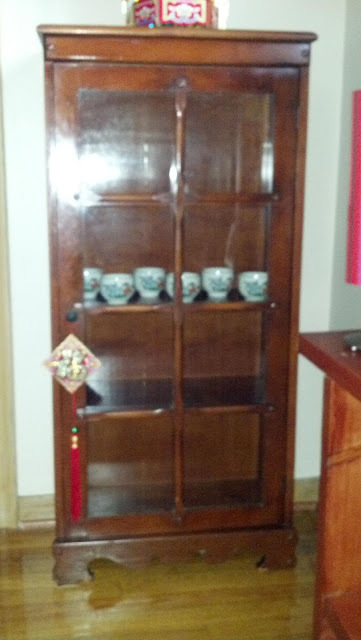 A gorgeous display cabinet cleaned and shined to it's original glory, now proudly displays vintage china in my mom's dining room. What I Want Friday - Burlap! I've noticed a lot of burlap fabric incorporated into various forms of decor lately: Burlap chair covers, burlap lamp shades, burlap napkins... the list goes on and on. And I am intrigued. Inspired by a recent issue of House Beautiful in which a gorgeously bright dining room featured a rustic farm table surrounded by custom, vintage grain-sack chair covers, I am on the lookout for all things burlap. Those custom chair covers, by the way, were retailing at right around $100.00 each. Ah, no thank you. Must figure out a way to do this myself. I love the vintage look as well as the red line detailing. I suppose I should mention now that I do not sew. Never learned because I never had an interest in my youth. 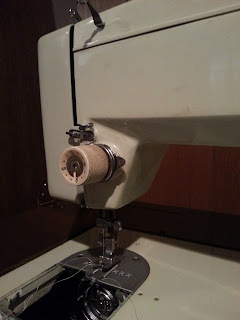 My mom sews, and if I ever needed anything hemmed or repaired in the past, my mom was kind enough to take care of that for me, not without exclaiming every time, "You should learn to sew!" Mom was right. I want to learn, and I will, but that is for another What I Want Friday topic. For now, I will seek out inspiration and try to nail down some ideas. I like this design because it scales down the sewing and also uses way less fabric, which is cost effective. 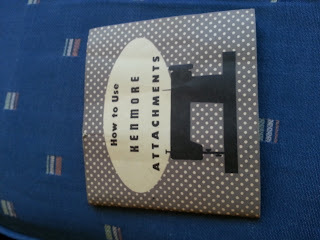 The key here is to stay low-cost, yet find something that will hold up to my hypothetical future sewing projects. I have a whole vision for the dining room and for some reason, I'm seeing burlap chair covers when I picture it. I like the idea that I can purchase the fabric style I want and then possibly turn it into something unique and interesting and hopefully, not for a big chunk of cash. We shall see. Stay tuned and if you have any experiences of your own with burlap or making your own chair covers, let me know! Right before we moved, Boyfriend and I had a garage sale as a way to clean out our basement and earn some extra cash to put toward renting a moving van. When cleaning out the garage, I found this beaten up, falling-apart cabinet. It looked like a cabinet you'd hang in your bathroom to hold toiletries and other items, but appeared to have been transformed by an imaginative kid into a place to hide treasures and trinkets. One pane of glass was missing and the inside had been painted sporadically and decorated with magazine cutouts glued to the shelves. I liked where this creative kid had been going with her idea and decided to re-purpose the item for Olivia to use as her own special cabinet of treasures. I checked with my landlord who said it must've been left by a previous tenant and I was cleared to use it to my liking. First things first: I removed as many of the magazine pics as I could until only a few of the most stuck-on pieces were left. 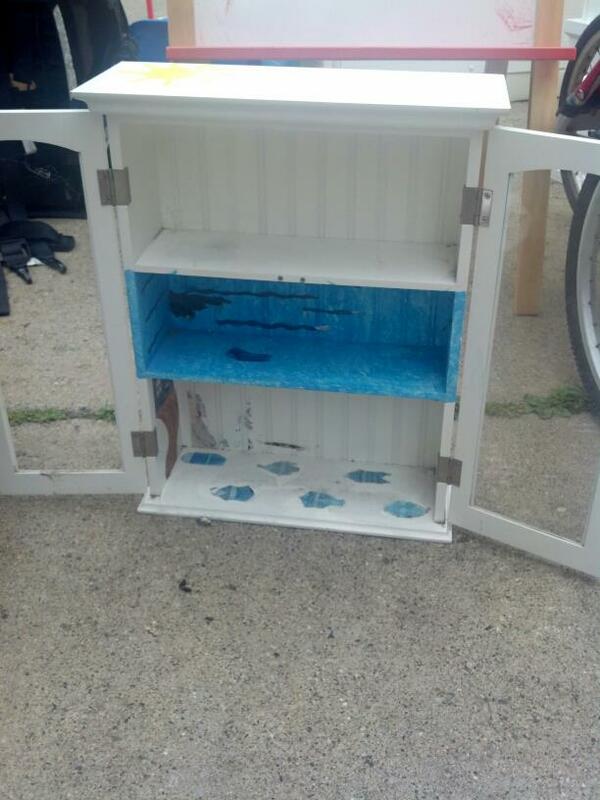 The bottom shelf had fish cutouts glued down and those were easily removed by sanding down the surface. Then on to picking paint. One color comes to mind when thinking of my daughter: PINK. I ran down to my local hardware store and was able to snag a custom shade of the prettiest pink for $10.00! They were having a sale that day and Handy Dandy Hardware Dude was kind enough to wait while I frantically flipped through every shade of pink you can imagine. Once I chose my color, I got to work. Here's the color name and number. Reminds me of a cotton candy machine! 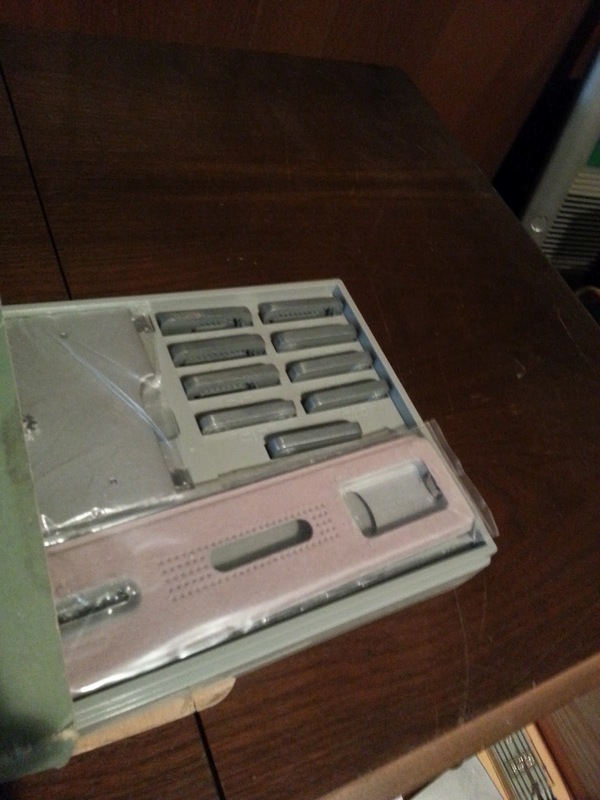 I removed both doors and the knobs and started sanding. I used 120 grit and it worked very well. Sandpaper comes in all different grits for all different types of surfaces. When in doubt, ask your Handy Dandy Hardware Dude at your local hardware store and really listen when they're talking; lots can be learned. The Paint people at Home Depot know me by name now! Also, I've found when in need of some quick information, ehow.com is full of useful tips and how-to's. For more info on choosing the right sanding grit, feel free to click here. I thought about priming, but this was a Fly By the Seat of my Pants type of project and I didn't have time to run back to the store for primer. 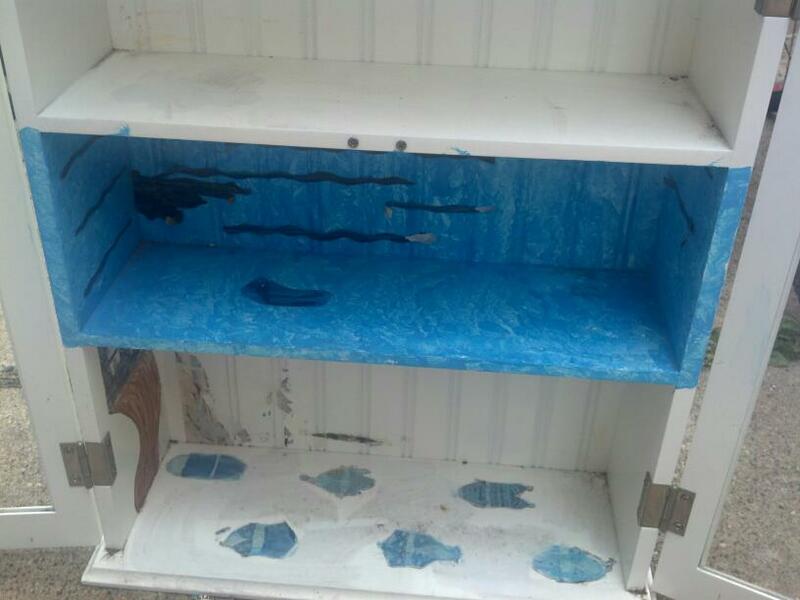 I figured going into this project that the blue paint and the sun on top might be two areas that would need multiple coats. Because the item was small and I had a good brush, I didn't mind the extra coats. It took 3 coats all together. I think the theme here had been "A Day at the Beach". If I had to guess, that is. After the painting was finished, I had to decide what to do with the doors. Since I figured Olivia would get a kick out of having a place to store treasures all her own, I decided to cover the door openings with fabric. I headed to Joann's and picked out a pink and gray design as well as a small staple gun. Again, this was a last-minute project and I wanted something I could easily change down the road. I cut the fabric to size using one of the doors as my guide and simply stapled the fabric to the inside of each door. Nothing special or fancy here; Olivia may want a different fabric later on or perhaps when she's older we can install some glass for her. The last step was replacing the knobs and I found the most perfect pair at Hobby Lobby; a dainty, pink glass that went perfect with the cabinet color and style. Total cost for the project was around $30.00 for the paint, fabric, staple gun and knobs. Well worth the time and effort in my opinion. And Olivia LOVED it! She keeps it near her bed and stores jewelry and tiny, stuffed animals inside. She immediately wanted me to help her gather every small object in her room and set it up inside her brand new treasure cabinet. On a recent trip to my local Habitat for Humanity ReStore I stumbled across a fantastic dresser/mirror set and a cool, stand-alone hutch; all of which I picked up for under $40.00! ReStores are great places to search for unique, one of a kind items that are perfect for DIY and up-cycle projects. You can find a wide variety of used and surplus building materials at a fraction of retail prices. The proceeds from a ReStore are used toward Habitat's mission of building homes for those less fortunate and the concept of reselling keeps these unique, one of a kind treasures out of landfills and dumps. Its a win, win, all around! 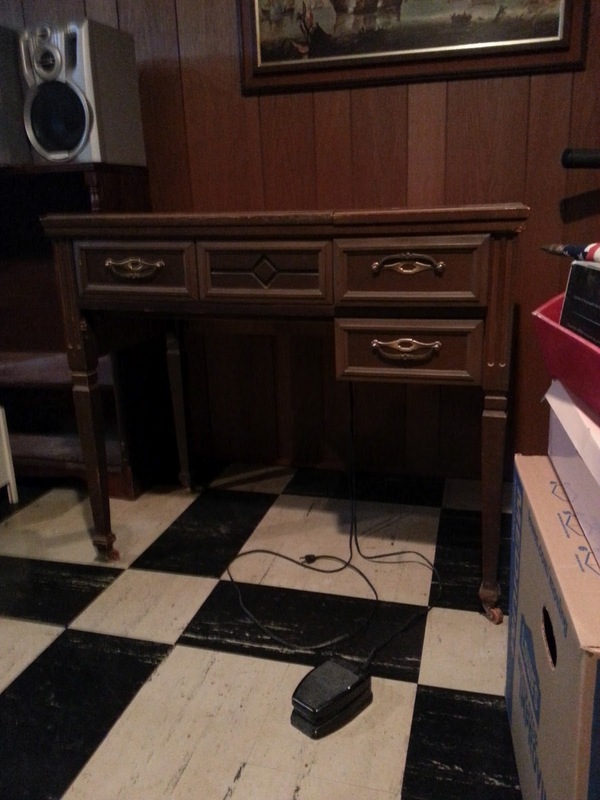 Back to that hutch - it was sitting in a corner, all by it's lonesome, screaming, "paint me!" I couldn't resist. The accompanying dresser was nowhere to be found so I decided it could be used as a wall-mounted shelf or even a children's book shelf. And I also decided it would be a great way to test out my skills at stenciling. I had mentioned in a previous What I Want Friday post that I was very interested in working with stencils. This would be my first stencil project. And I wanted bold! I pictured glossy, black paint and crisp, white detailed stenciling. There it was, the Idea in my head, no looking back, as they say. This would prove to be a fun, and definitely challenging project, not without a few trial by error steps along the way. First and foremost, this is the first time I've ever worked with a high gloss paint, and let me tell you, that sheen and shine is addictive! I plan on incorporating high gloss into many more projects! This was also my first time working with black paint. Here's where the learning comes in. To prep the project, I started out with my hand sander and lightly went over all surfaces of the hutch. There wasn't much to sand and I just wanted to achieve a uniform smoothness. 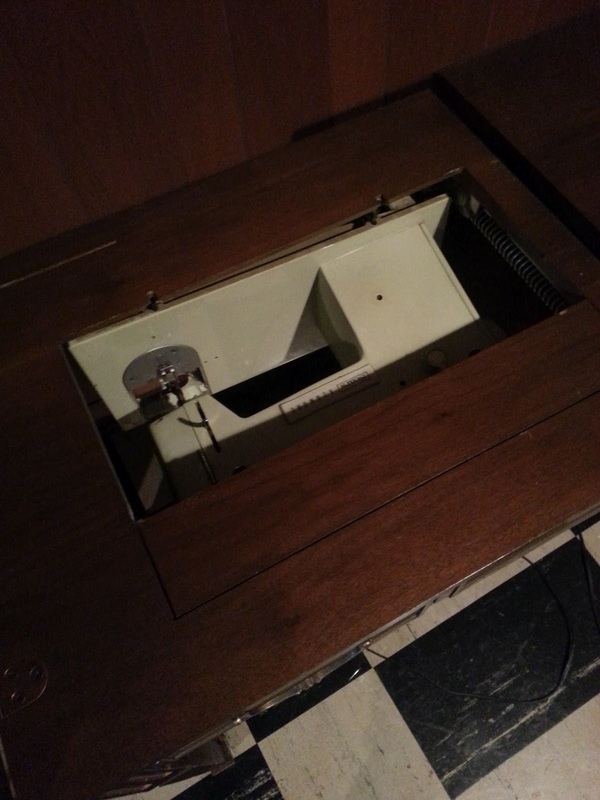 I also removed two decals from the hutch that had been stapled into the wood. They didn't work with the look I wanted and honestly because they were stapled into the wood, looked cheap and unnecessary. Cheap details are details better left out. Staple through the back. Easily removed with flat head screw driver. Then onto priming. First misstep. Not the priming, but more-so the prime color. I primed in white. This simple step added 2 extra coats of black paint to the project, not to mention extra hours of work trying to cover up all of that white primer. One phone call to my Dad gave me the solution: Prime in black. I am embarrassed to admit that I did not know primer comes in white and black. Well, you learn something new every day, huh? This is after TWO coats of black paint! What a pain! It took 3 coats of paint to fully cover up that white primer. Lesson learned... Now, onto the stenciling. I picked up some DecoArt floral stencils at Home Depot. There are a ton of stencil companies out there right now with varying prices and sizes, but since this was my first time, I wanted to start small. 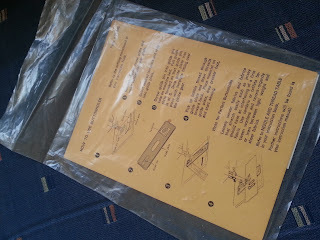 The DecoArt stencils are sold at Home Depot and come packaged individually. They retail under $3.00 and are better for smaller scale projects. I chose the Jacobean design and you can learn about that style here. Foam roller brush + stencils = easy application. I thought it would be better to try some test runs first, so Boyfriend was kind enough to head into the depths of our scary garage and find some cardboard for me to experiment on. It was as easy as cutting out a decent-size square, taping it to the table and painting it black. I experimented with a few different colors and also wanted to try an antique finish to the floral design. Martha Stewart has a great line of additives that can be used to add distressed, crackled or antique finishes to paint and I happened to have the antique finish on hand. It is tint-able and works with most paints. You can find it at many craft or hardware stores. Simply add the tint to your paint, mix and apply. Thank goodness for that test run because the tint did not work with stenciling. Additives cause the paint to thin and thin paint does not a pretty stencil make. Frog Tape, or any painter's tape works perfectly when securing the stencil to your work surface. Any small, foam roller brush will work with a project like this. The paint was just too thin when combined the antique additive. Again, too leaky and thin! I didn't like the teal against the black background. Another reason to test your colors! I liked the way the white popped against the black background. The testing cardboard was also helpful in honing my technique. I learned that pressing too hard with the foam brush caused the paint to bleed and that also doing a few practice rolls on a porous surface like paper towel or a paper plate, removed excess paint from the brush and prevented bleeding and smudging. With testing complete, I got to work. I used a sweet card from Boyfriend to measure distance from edge of hutch wall to edge of stencil. Not a perfect first try, but not that bad either, eh? Using the Boyfriend card to measure, I was able to stencil each shelf wall within a matter of minutes. Overall, the stencils were easy to use and cleaned up nicely. I am definitely stenciling again! There you have it. The ReStore hutch was $10.00. 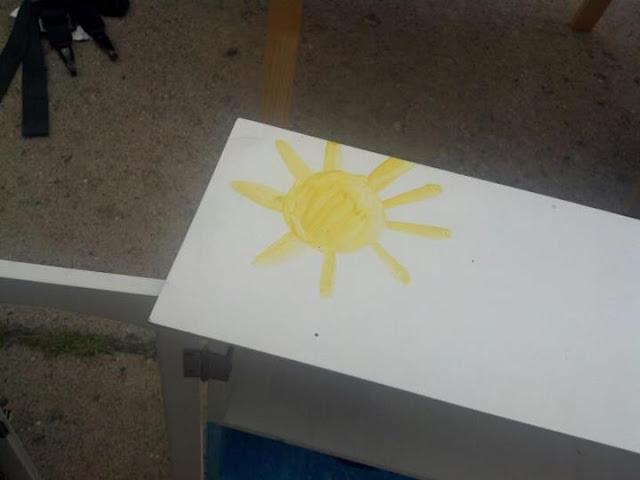 The black paint and stencils were purchased at Home Depot for around $15.00. The cardboard idea supplied and installed by Boyfriend for free. $25.00 for a Happy little hutch!